TRADITIONAL children’s games may not be as popular as they were generations ago, but parents and teachers agree that they can only be good for today’s children, whether for learning customs and traditions or simply for a healthy dose of outdoor exercise. “Not many children today know about the games we used to play when we were kids... Now, most games use technology. You only need to relax and sit to play games. 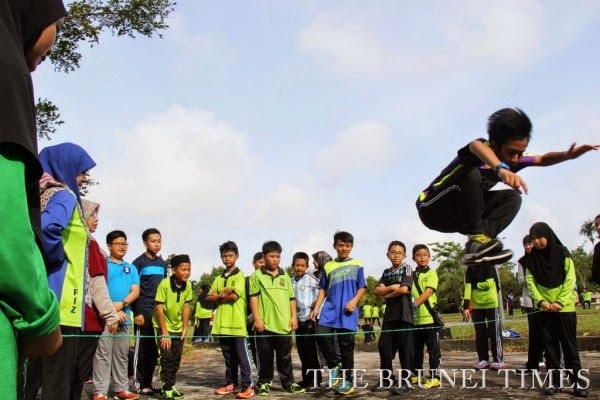 Games in the past required physical exertion; you needed to expend energy!” said Hj Abd Rashid Hj Md Rais, who pointed out that kids of his generation were healthy and fit, while obesity is prevalent among today’s children. 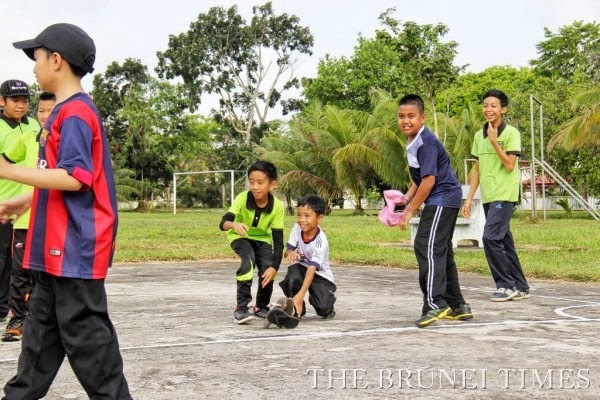 He was speaking to The Brunei Times while watching his two daughters playing gatah (a game using a rope made from rubber bands) as part of a traditional games activity organised by Belait Arabic School yesterday. “We used to play gatah just like they’re doing now. Two kids will hold the rope up while others take turns jumping over it. It gets progressively higher, starting at foot height, moving up to the knee, then to the hips, shoulders, ears and head. “The highest is a hand’s breadth above the head. Back in my day, we would even go twice that!” said Hj Abd Rashid loudly, above the rising sound of children’s laughter. 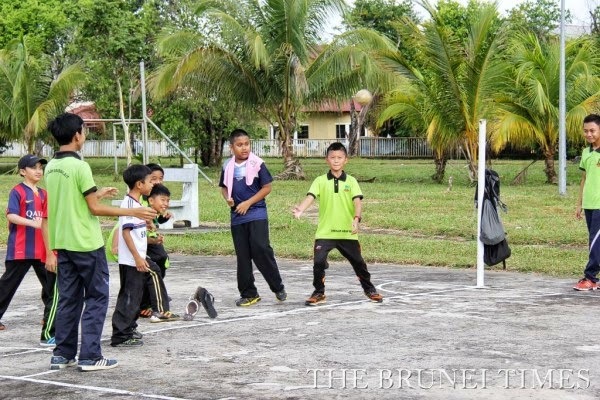 He admitted that even his children were unfamiliar with most of the traditional games but said he would often organise simple games during family gatherings. For many of the 179 children participating, it was their first time trying their hand at the games, which was apparent from their awkward beginning steps. But shyness soon turned into careless bliss for most, egged on by laughing classmates as they discovered the simple joys of traditional games. 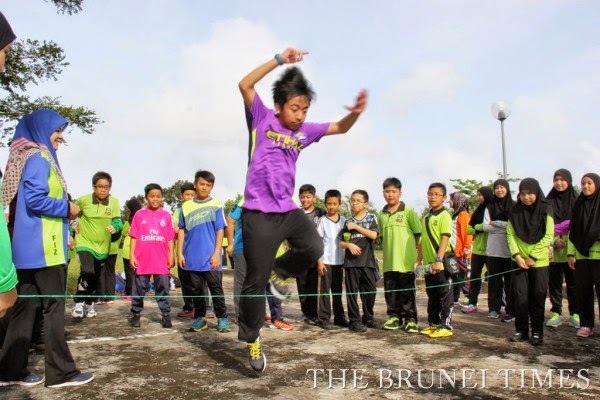 Schoolteacher Ahmad Za’aim Hj Bagol said the school was introducing four traditional games in the activity: Gatah, Carah Kaki Tiga (where teams take turns defending a pyramid of three slippers from attackers), Belalang Belatuk (Grasshopper Woodpecker - where two opposing teams chase each other, depending on which team is called out) and Dato Harimau (similar to playing “tag”). 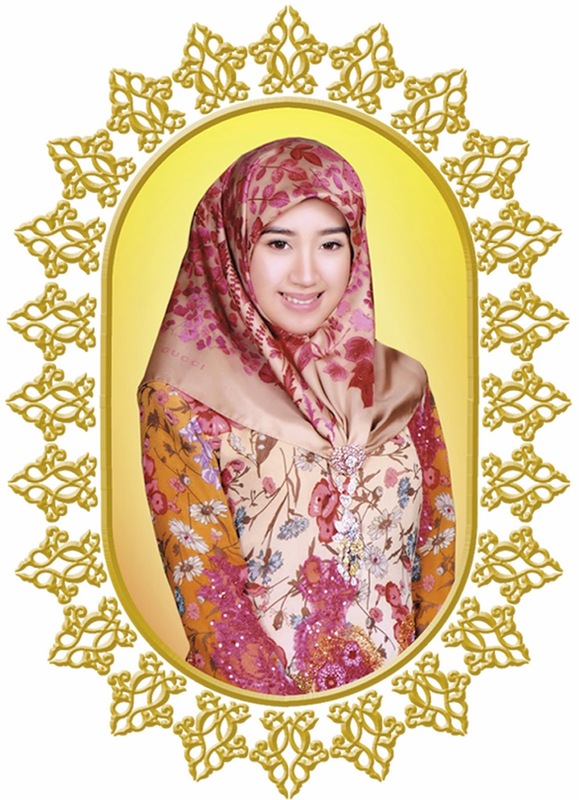 “Today’s objective is to ensure that our students not only excel in class but also in health. We also want to expose them to the traditional games of olden days... We discovered during the explanations of each game that many of them didn’t know how to play,” said Ahmad Za’aim. “In my opinion, this (poor knowledge of traditional games) is due to our obsession with the age of technology... These kids are more interested in modern games on their iPads. But we shouldn’t allow this knowledge to be lost. 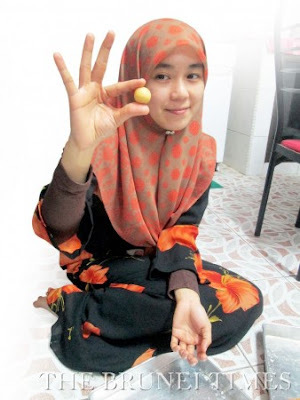 It’s important for us to preserve these old games as part of our cultural heritage,” he added. 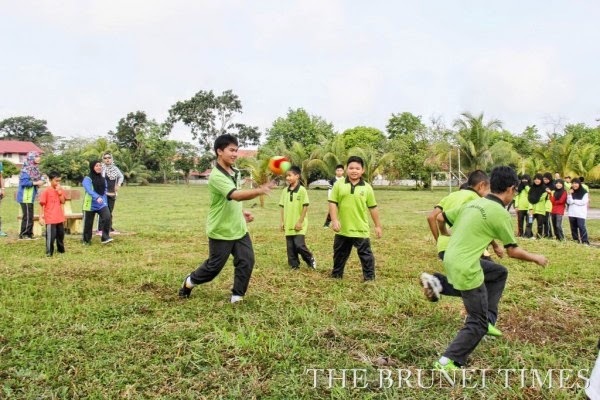 The event took place in the STKRJ Kg Mumong playground area and is one of several activities lined up by the Belait Arabic School to mark the tenth anniversary of its founding. Gong Xi Fa Cai: Year of Sheep or Year of Goat?